We wrote a post about Sakunthala. This is another one. She is a good student in this remote area. She is poor. But skills are rich. Her farther has died. She has one brother. A PC will be a dream to her. Because even no electricity to the village. 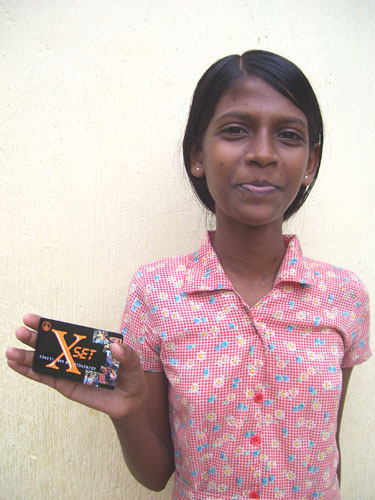 Yesterday she started a X-set account in Sampath Bank. On your help, she will build a bright future.